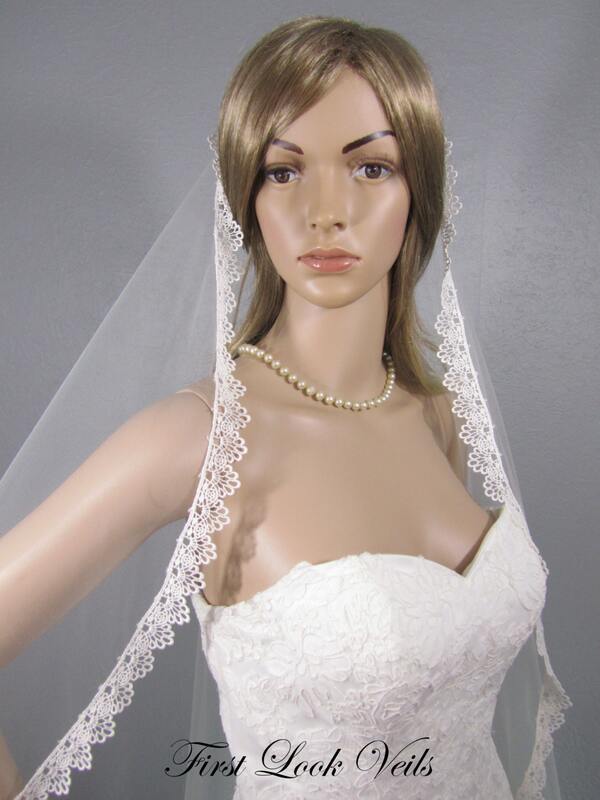 THE STYLE: This waltz length wedding veil is perfect for the bride that wants the dramatic look of a cathedral veil while allowing her to maneuver the dance floor and greet guests with ease. 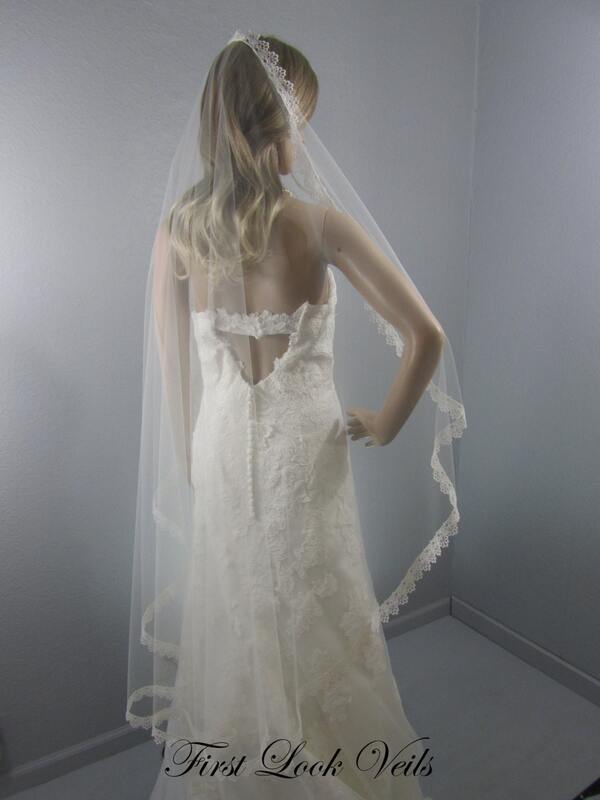 This length veil may be paired with any dress although it flows well with Sheath, Column, Vintage or Fit & Flair wedding gowns. 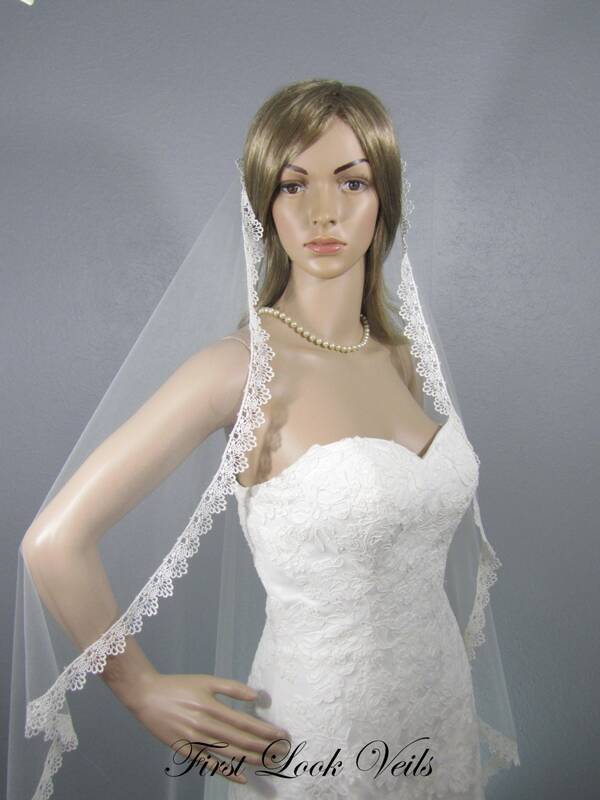 This design features hand-cut ivory Bridal Illusion tulle, edged with ivory lace giving the veil a cascading waterfall look flowing over the shoulder. 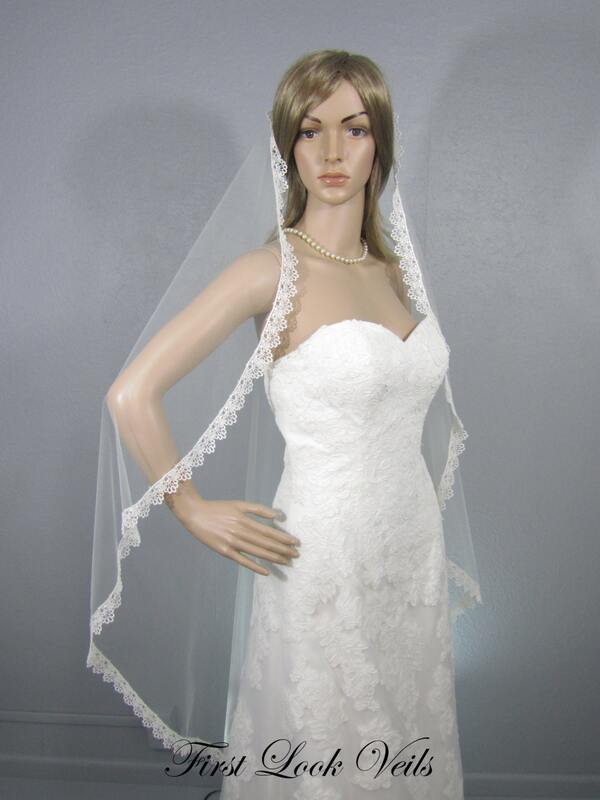 Perfect for dancing the night away without fuss. 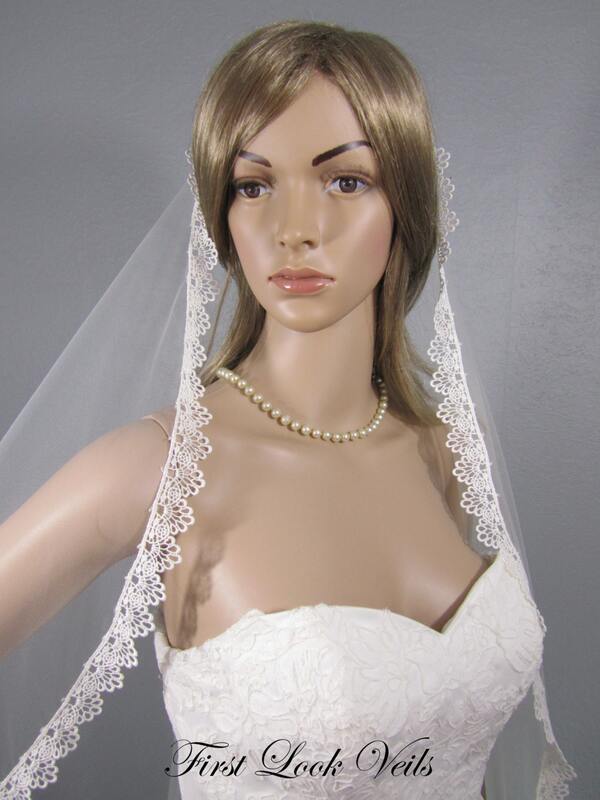 LENGTH: The pictured veil is a 54' waltz length.